Following the publication of a blog post earlier today outlining some details of its upcoming CurrentC mobile payments solution and disclosure of a hack resulting in unauthorized access to users' email addresses, Merchant Customer Exchange (MCX) held a conference call with members of the press to further address questions and concerns. During the call, MCX CEO Dekkers Davidson and COO Scott Rankin clarified that MCX merchants who choose to accept Apple Pay are not subject to fines. As stated in the blog post earlier today, merchants are also free to leave the consortium entirely at any time without penalty beyond forfeiting the time and money already invested in the effort. As a result, MCX certainly appears to be placing the blame for its member retailers' refusal to accept Apple Pay on the merchants themselves. Asked whether Apple Pay and MCX's CurrentC solution should be able to exist side-by-side, the executives noted that believe they will in the future and that it will take two or three major players in mobile payments to allow the entire market to thrive. But pressed as to why some retailers such as CVS and Rite Aid have shut down NFC entirely rather than allow unofficial Apple Pay payments in their stores, Davidson argued that merchants know their customers best and are making the choices they believe are right for their customers. He said the merchants believe customers want more than just mobile payments, and CurrentC's integration of payments with loyalty cards and coupons will in his opinion prove to be the best solution. On the topic of the hack that has resulted in compromised email addresses, Davidson noted that attacks on their systems were expected and have been heavy over the past week but that the email breach did not affect the app or the actual CurrentC systems. As a result, the issue has not shaken MCX's confidence that the cloud is the best place to store personal information for CurrentC users. Asked why MCX has been the target of such attacks over the past week, Davidson speculated that with MCX "challenging the status quo" of large, entrenched payment systems, there are bound to be attacks. Addressing privacy issues, Davidson and Rankin also highlighted the privacy dashboard that will be available to all CurrentC users. The dashboard will allow users to tailor their level of engagement with retailers, ranging from complete anonymity to identifiable relationships that will allow for customized offers, coupons, and other benefits. The executives also touted CurrentC's technology and payment platform agnosticism, noting that while the system has been initially built out using QR codes for maximum compatibility, the system can easily pivot to NFC or other technologies as appropriate. Responding to questions of security with QR codes, the executives pointed to Starbucks, which processes 5-6 million transactions per week using the technology. On the payment front, CurrentC will support a variety of methods including store cards, gift cards, debit cards, and checking account withdrawals, with two credit card companies even on board at this stage. Over time, MCX expects all cards to be welcomed, even with the interchange fees charged for credit card usage. 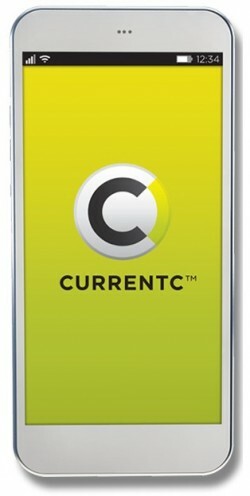 CurrentC is currently in limited testing with an undisclosed number of partners in undisclosed locations around the country, and a full nationwide launch is planned for early next year. Update October 30 7:26 AM: Following continued unclear answers and dodging from MCX executives, an MCX spokesperson has confirmed to Business Insider has confirmed that consortium members who choose to accept Apple Pay must indeed leave the CurrentC group. During yesterday's conference call, the executives refused to share whether any retailers have left the group or are considering doing so. in the small 0.00000001% chance that MCX does become successful, I vow to never, ever use CurrentC, even if it means I'll have to pay via dollar bills, just to screw with them. Really, Status Quo? QR Codes were the status quo like 10 years ago. We've moved on since then. This is so MCX can make consumer data trafficking a lot easier. MCX is the gift that keeps on giving. Davidson argued that merchants know their customers best and are making the choices they believe are right for their customers. Such as handing over your social security number. The more I read about this whole situation and product, the more I'm convinced it's all a continuous series by the Onion. but how does denying Google Wallet and ApplePay, with no alternative, showing they are making choices that are right for their customers??? Every single statement here is a lie. Oh, sorry, PR. Using Apple Pay, effectively, just means using NFC, which is a standard. MCX is clunky and abusive of people's privacy. "We're the rebels against the status quo?" HAHAHAHAHA. So MCX said this is all on CVS and Rite Aid. Nice. MCX's PR machine is rolling, but their attempts are futile. They are attempting to paint themselves as victims. No one is buying (pun maybe sorta kinda intended). Retailers will start bailing soon (http://thirty-ninea.com/blog/2014/10/29/like-rats-leaving-a-sinking-ship). They can't afford the black eye heading into the holiday season. So I wonder, since their exclusivity deals block ApplePay/Google Wallet/any other NFC mobile payments, what's keeping Apple, Google and Microsoft from just denying their app entry into their app stores? Would that open them up to lawsuit for anticompetitive behavior? It seems like that street could run both ways. The entire statement in defense of CurrentC is pure dumbassery. How is shutting down ApplePay (thus offering less choice) better for customers? MCX is in full damage control and this is not helping. I won't use it because it is an invasive system that makes the purchasing process harder. Dumb dumb dumb.